Do you remember this lovely dress I wore in an outfit post at the beginning of this month? 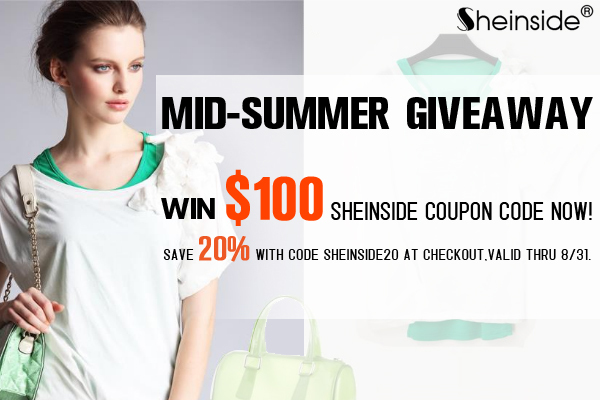 Well, the lovely people from Sheinside are offering one lucky Dearest Lou reader a $100 store credit to Sheinside!! This is an international giveaway that you don't want to miss. Contest is open worldwide. One lucky winner will be selected and notified via email on August 28th. Thanks friends and good luck! I would purchase the Orange Camera Print maxi dress Its so cute. Sweet! I love the Green Stripes Loose Sweater with Pocket! LOVE the silk one shoulder ruffle dress in yellow!!! i'd totally get kate's navy half sleeve lace dress. so pretty! I love the orange zebra dress! I like the red cotton lapel winter long sleeve dress! I love the Beige Sleeveless Pearl Embellished Zip Back Dress! Love this http://www.sheinside.com/Black-Suede-Platform-Flat-Shoes-p-84408-cat-1750.html !! :) Even though my chances of winning are a definite 0 for these wonderful giveaways, I'll give it a try. Thankyou for the great giveaway! I would use it on any of their high/low dresses. what a great collection! 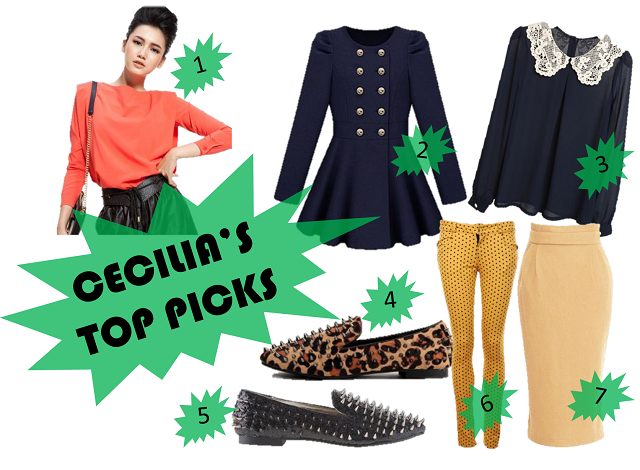 In case I was lucky enough to win, I would surely spend the most of dollars for these shoes: http://www.sheinside.com/Black-Suede-Platform-Flat-Shoes-p-84408-cat-1750.html Have been craving for them for a while already. I've been dying to get (for ages and ages) the Grey Contrast Trims Double Pockets Long Sleeve Suit! Really want to win the Green Ruffle Sleeve Die Tie Floral Button Front Chiffon Dress! I really the Leopard Chiffon Middle Waist Jumpsuit. I really like this Pink Chiffon One Shoulder Maxi Dress! I would totally get the Sequined Solid Waist Irregular Chiffon Dress Green. It's so pretty!